Belly fat is beyond armful, it makes people appear awkward. Here are science backed methods of loosing it. When you are overweight, it does not necessarily translate to been unhealthy or having chronic ailment hiding in your body. In our world today, a large number of overweight individuals are physically fit and are tested healthy. On the other hand, people that are not too weighty largely suffer from metabolic ailments said to be attached to obesity. Some people have fats secreted around their waist but are not too heavy. This kind of people needs to reduce the fat to enjoy a healthy lifestyle. To ascertain the amount of belly fat you have, measure your waistline using a measuring tape. That is very popular among tailors. In fact, you can achieve this yourself. Numerous numbers of ways to burn fat exist, nonetheless, not all of them are genuine, and science approved. To lessen this, below are 3 Science approved Methods of Losing Belly Fat. Researchers indicate that Added sugar affects people that are found of it. Findings pinpoint that added sugar affects metabolism. Do not forget that sugar contains ½ of glucose and ½ of fructose. However, the liver does the work of metabolizing sugar when it is in a substantial quantity. Importantly, refined sugar causes the liver to be burdened with fructose, which is later converted into fat. In many cases, studies reflect that surplus sugar resulting from enormous intake of fructose causes excessive fat to be secreted in the belly region. Some individuals are of the opinion that this is the chief instrument of the dangerous action of sugar on people’s well-being. Sugar intake results in metabolic complications and insulin resistance, which are consequences of secreted fats in the liver and belly, according to a study. These problems are more complicated by liquid sugar since they do not get booked in the brain like their solid counterpart. In these wise, consuming beverages with added sugar increases your overall calories intake. According to some researchers, beverages with sweetened sugar served per day are responsible for 60% amplified threat of obesity in children. In this regard, you can start doing without sugar drink and some sugar contained foods gradually. In the end, cutting your sugar intake is the best. These beverages are not limited to fruit juices, but also include energy boost drinks used during sports activities that contained enormous sugar. Note that this has nothing to do with whole fruit since they have a great advantage on health and contains adequate fiber, which alleviates the defects of fructose in the body. Even though fruit contains fructose, but the amount could be overlooked when likened to the amount that is fund in added sugar. You need to be conversant with stickers on the products you consume if you sincerely want to reduce your refined sugar intake. Be informed that foods that are regarded as healthy diets may have an enormous quantity of sugar. Note that surplus sugar intake is the chief cause of secretion of fat in the belly, most specifically sugar-sweetened beverages e.g. sports drinks, soft drinks etc. The notable effect of the macronutrient, Protein, in weight reduction, cannot be overemphasized. Protein is a proven diet that reduces crave for food by 60%, enhances metabolism process by 80 to 100 unit of sugar (calories) daily. Beyond speculations, protein is the most functioning diet you can adjust to if you desire weight reduction in a short time. Protein functions beyond weight reduction, it reduces the risk of putting on weight again after it is lost even if you disregard your weight reduction plans. 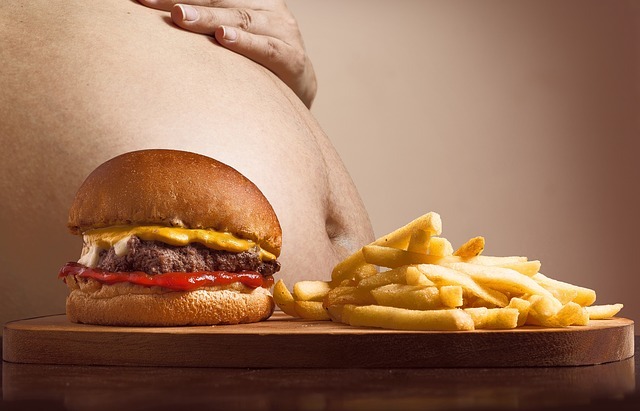 Some tenable revelations reveal that protein is good for burning belly fat. According to a research, the quantity and quality of protein taken were inversely linked the amount of fat secreted in the tummy. This is saying that people who consume quality protein had reduced tummy fat. In a research that was carried out in Denmark, over a range of 5 years, protein was said to be responsible for the reduced threat of tummy fat increment. Same research indicated that oil plus refined carbs were responsible for tummy fat increment, however vegetables and fruits were said to be responsible for the reduction. In many of the research where it was indicated that protein produces a favourable impression, had 25% to 30% of calories. This is exactly what people desiring weight loss should target. In this regard, strive to take a lot of diets that are high in protein. These diets include whole grains, dairy foods, meat, seafood, fish, whole eggs, legumes, nuts etc. They are very rich protein sources readily available in the market. If you are unable to get protein from your foods, you can supplement your protein intake with whey protein. It is an easy and healthy means of adding protein to your diets. Note that Protein does a lot in weight reduction. Many types of research made known that protein is a special macronutrient that fights tummy fat secretion. #3. Ketogenic Diet Works Good. The ketogenic diet is a high-fat but low low-carb diet with substantial amount of benefit. More than 20 studies indicate that this diet helps in weight reduction. Researchers say ketogenic diets have the potential of having appreciable effects on Alzheimer’s disease, epilepsy, cancer, among other things. For more on Ketogenic diets, check here. In short, Ketogenic diet otherwise referred to as Keto reduces blood sugar and insulin levels. Surviving on Keto helps in weight reduction. Here are some convincing Ketogenic diet reviews to keep you informed of its importance in belly fat reduction. Elites are battling many diseases, excess weight is among the problems that must be nipped in the bud.